The Department of Homeland Security - CBP's workforce, of over 58,000 employees in over a 1000 locations around the globe, use the Printer Installer self-service portal to quickly find and install printers. With Printer Installer, agents are able to install their printer without having to call the help desk. PrinterLogic makes printer installation so easy that even your end-users can do it! 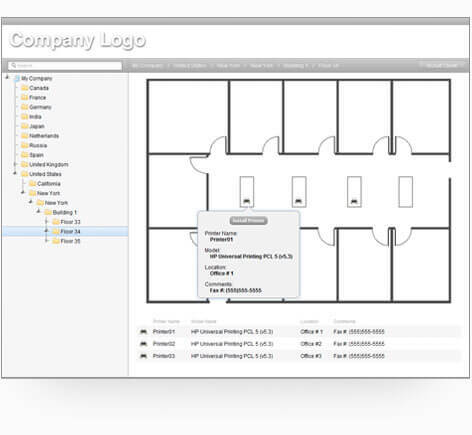 By using our web-based, self-service, printer installation portal, end-users are presented the printers nearest them in a list or on an optional floor plan map. This empowers them to quickly find and install printers with a single click, without calling the helpdesk.